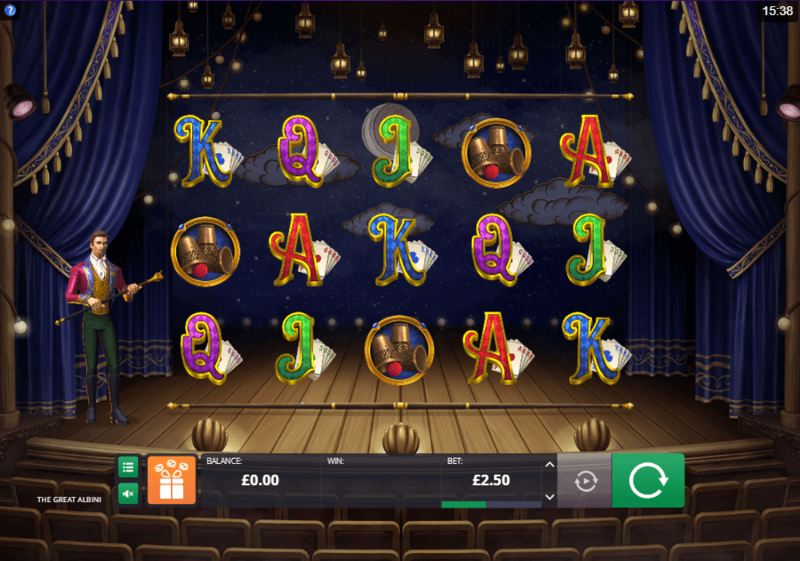 The Great Albini is one of the best slots baby casino games to play from the developer Foxium, based around the theme of a magician and his adventures with his glamorous assistant. The game’s intro sees Albini emerge from his limousine outside an exclusive venue. Appearing from a puff of purple smoke, Albini performs magic tricks as crowd gasps in amazement and offers applause. As an opening to this exciting and captivating slots game, the intro works perfectly. The Great Albini is a video slots game, featuring five reels and 25 win lines that you can play in an online casino. Visually, it is impressive, with the symbols floating over the Great Albini’s wooden stage. The magician himself stands at the side, watching the reels spin, and occasionally giving his wand a twirl. There are a number of higher value symbols on the reels, with the Great Albini himself being one of them. Others include Albini’s assistant, a knife thrower’s target, a yellow bird and a magician’s set of cup and balls. Lower value symbols on the reels are related to playing cards, with J, Q, K, A and the number 10 being not so lucky for you. The wild symbol is literally the word ‘wild’ written in big gold letters, making it easy to spot. When you win some free spins the fun really starts with this game. 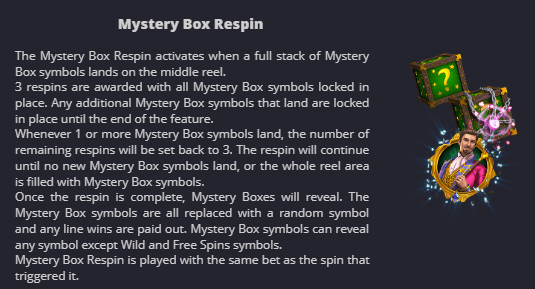 If the free spins symbol lands on reels two, three or four, then you’ll receive 12 free spins, along with the Lily Wild feature. If Lily lands on reels two, three or four during your free spins, then she expands to fill the whole reel, working as a wild symbol and double multiplier. Check it out today via S-Baby! The Great Albini arrives on your screens courtesy of Foxium, an Estonian games development company based in Tallinn. A relatively new company, they have been around since just 2015, and their games used to appear on the defunct Odobo platform, but are now available in their own right. Foxium like to build their games around a narrative with recognisable characters, and The Great Albini certainly fits into that tradition. The storylines allow the player to become full immersed in a world of wonder and excitement, whether the setting is a Miami nightclub or the deepest jungles on the banks of the River Amazon. The games are usually written using HTML5, so they can be played on any device, regardless of its size. With its exotic atmosphere and slick animation, as well as its strong storyline and characters, The Great Albini is a top online slots game for anyone who enjoys playing on fruit machines. If you’re looking for an engaging and enjoyable slot online game, The Great Albini is well worth spending time on. Spectacular bonus features, charismatic characters and a gripping storyline should keep you coming back to it again and again. Click here to learn more.